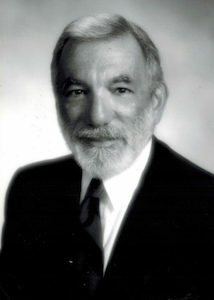 Mr. Kaplan ran the very prominent Chicago bankruptcy practice of Melvin J. Kaplan and Associates for over 50 years. Growing up on the west side of Chicago, and after serving in the military. He spent his career helping thousands of Chicago area families save their homes and find dignified solutions to their financial problems. He was the author of “Out of Debt through Chapter 13 and How to Get Your Creditors of Your Back Without Losing Your Shirt”. He was a frequent lecturer at professional association seminars and community service programs. Mr. Kaplan received his B.A. in 1958 from Roosevelt University, and his Juris Doctorate from Chicago Kent Law School. He was licensed to practice law in Illinois, Colorado and New York State. Mr. Kaplan was a member of the American Bar Association, American Bankruptcy Institute, National Association of Chapter 13 Trustees, National Association of Bankruptcy Trustees, Federal Bar Association, Chicago Council of Lawyers, and the Chicago Bar Association. He was a past Chairman of the Chicago Bar Association Bankruptcy and Reorganization Committee, author of several publications on consumer bankruptcy. He was listed in “Who’s Who in American Law”, and a panel member of the Chicago Bar Association. Mr. Kaplan practiced bankruptcy law and was certified by the American Bankruptcy Institute as a consumer bankruptcy specialist. He was also a founding member and served as a Director of NACBA from 1992 to 1996. He also served as a panelist at several NACBA Conventions. Mr. Kaplan sought to help Chicago families find dignified solutions to their financial problems and was a strong advocate for his clients, and expert in his field. We at Kaplan Law Firm, LLC work each day to live up to his legacy of providing the best possible client service and highly qualified legal representation in the practice of bankruptcy law.